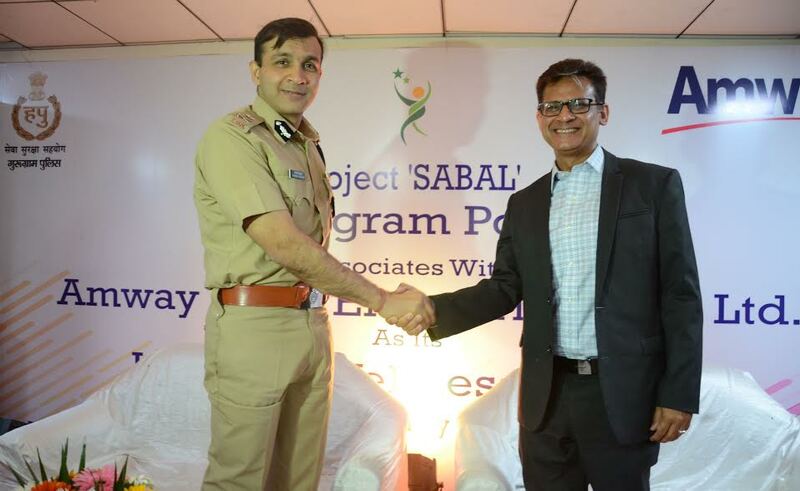 Gurugram: Amway India, country’s leading direct selling FMCG Company, today partnered with Gurugram Police for Project ‘Sabal’. A Memorandum of Understanding has been signed between Gurugram Police and Amway India today, in the presence of Mr. Sandeep Khirwar, IPS, Commissioner of Police, Gurugram and Mr. Anshu Budhraja, General Manager, Amway India. Under the Project, Amway India will undertake self-defense training of around 10,000 school-going girls from 50 schools of Gurugram and will support the health & wellness of Gurugram Police officials by organizing multiple healthy living workshops.